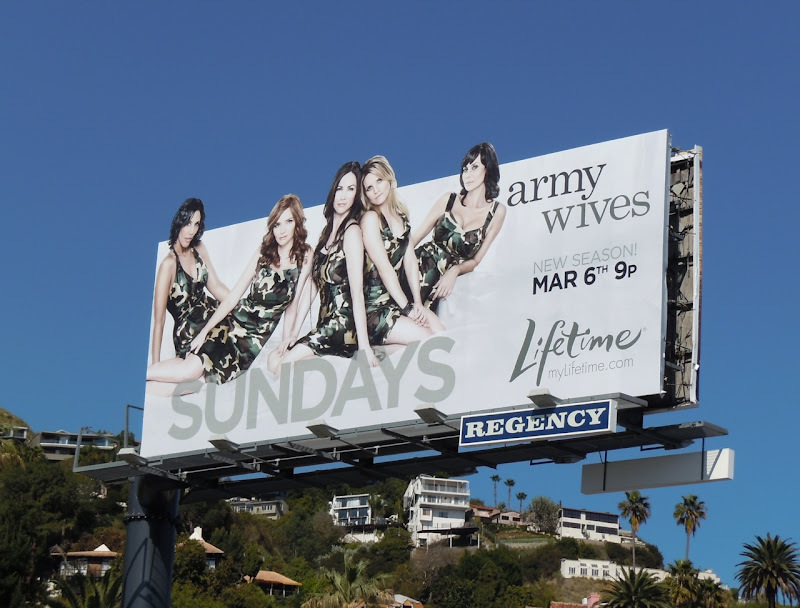 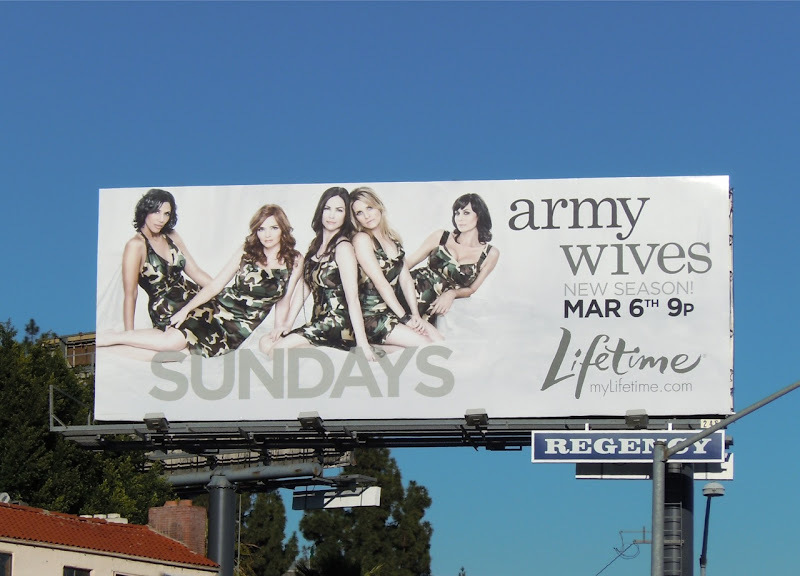 The ladies of Fort Marshall scrub up fairly well and return for this rather glamorous fifth season billboard for Lifetime's popular drama series, Army Wives. 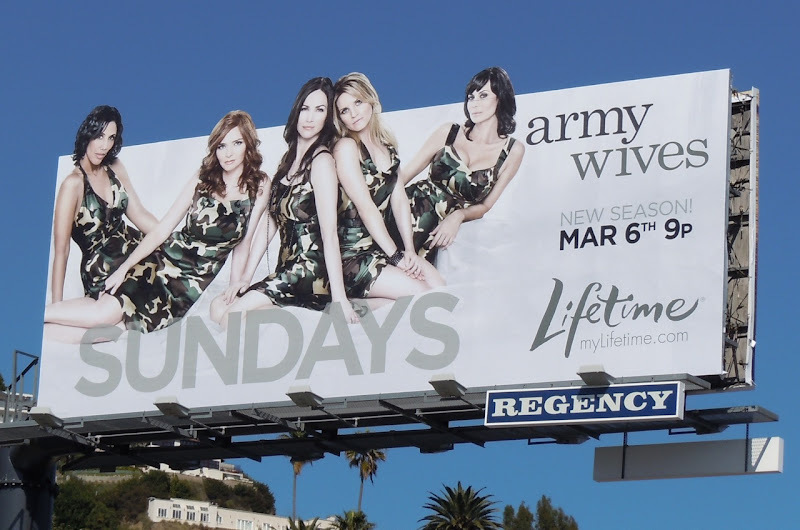 Joan, Pamela, Claudia, Roxy and Denise all look fabulous decked out in their camouflage dresses, which is a clever, yet very subtle way of reinforcing the military theme of the show. 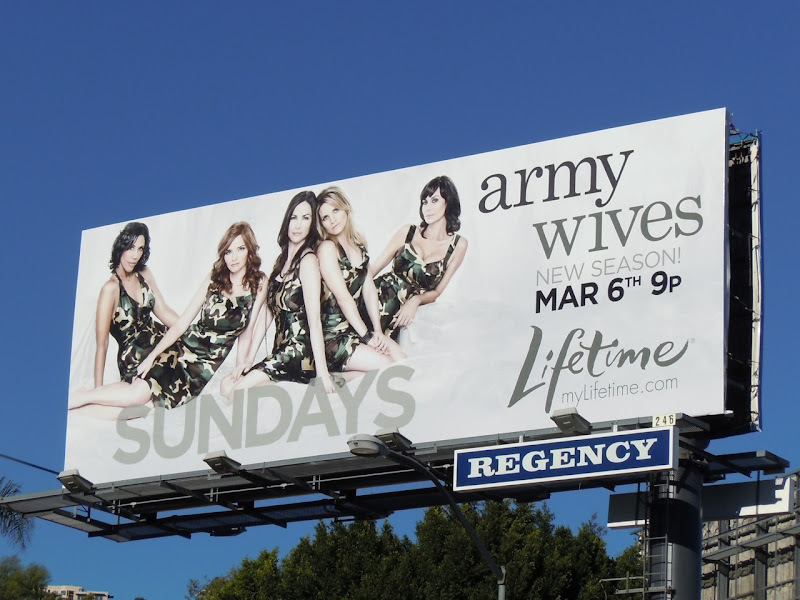 Both versions of this eye-catching billboard were snapped along L.A.'s Sunset Strip on February 14, 2011.